The books of intrepid travel writers whose adventures span from Jerusalem to Cairo feature throughout the collections at New College Library and in particular, those gifted to the library by William Fulton Jackson. A selection from this collection is now on display in New College Library. Born in 1855, Jackson, recently uncovered as the donor of the W. F. Jackson (WFJ) collection, was the General Manager of the North British Railway Company. 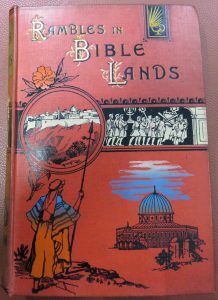 His interest in and passion for travel, particularly the Holy Land and Egyptology is reflected both in his numerous books on the subject and detailed photograph collection which is held by the Glasgow University Library Archives. 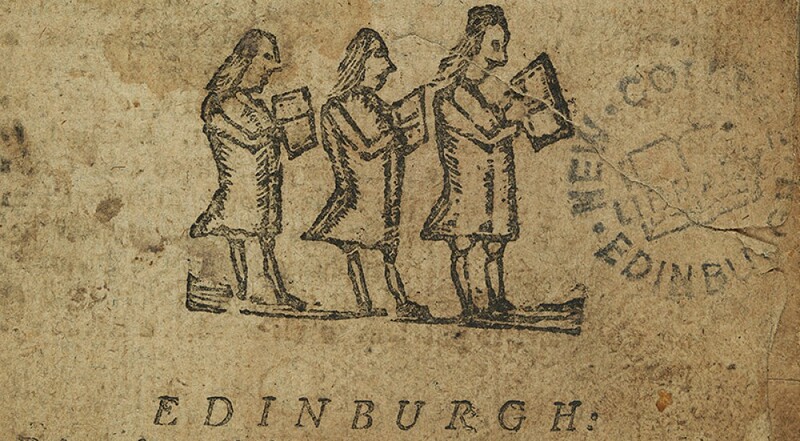 Context of Scripture Online is now available on trial access to University of Edinburgh Users. Access is available on campus and off campus via the VPN. The trial ends on 19 February. See the eresources trials web page for more information. Context of Scripture Online is a reference work aiming to provide access to a broad, balanced, and representative collection of Ancient Near Eastern texts that have an impact on the interpretation of the Bible. These ancient Egyptian, Semitic, Akkadian and Sumerian writings form the rich background to the literature of the Hebrew Bible.